Once upon a time, there was a golden generation in the history of the Black Stars, which many thought should have won the 1992 Africa Cup of Nations and fulfilled Ghana’s long cherished dream of playing in the FIFA World Cup. This generation, however, failed to realise the nations long-cherished the dream of winning the AFCON and participating in the World Cup. 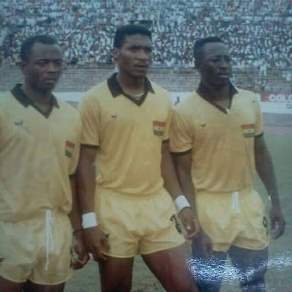 The maestro Abedi Pele Ayew was the captain of that generation with Ali Ibrahim and Prince Opoku Polley – “the Prince of Goals” as regular members of that generation. For many, this was a generation that could have conquered the continent easily, but fate denied them that opportunity.